There once was a poor man who led a donkey every day across the border from one kingdom to another. 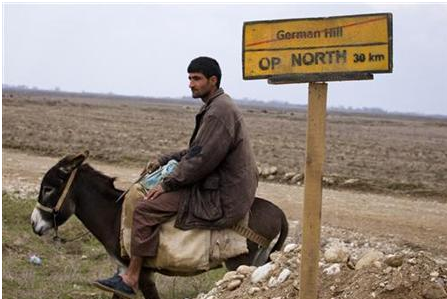 The border guards suspected he was smuggling something, so each day as the man passed the border, they carefully searched the man and the donkey’s saddlebags, but they never did find anything. After awhile, the man starts to wear more expensive clothing and buys a large house. The border guards redouble their efforts to inspect the man and his donkey closely because they now are certain the man is smuggling something. But in their daily searches of the man and the saddlebags, they never come up with anything but straw. Enlightenment happens when a simple honest truth appears, a truth that has been in front of us all the time, but which we completely missed because we were so focused on our own agenda. Finding this truth opens our minds and gives us access to entirely new possibilities, which in turn, gives us the opportunity to produce more effective results. What if . . . what I think is the problem isn’t the problem at all? What if . . . what I think is the solution isn’t the solution at all? What if . . . the way I’m looking at an issue is actually part of the problem? Just like the guards, so intent on being right that the man was smuggling goods they completely missed the obvious truth that he was smuggling the donkeys, so too do we focus on our own views, opinions and judgments and completely miss the reality and truth right in front of our eyes.